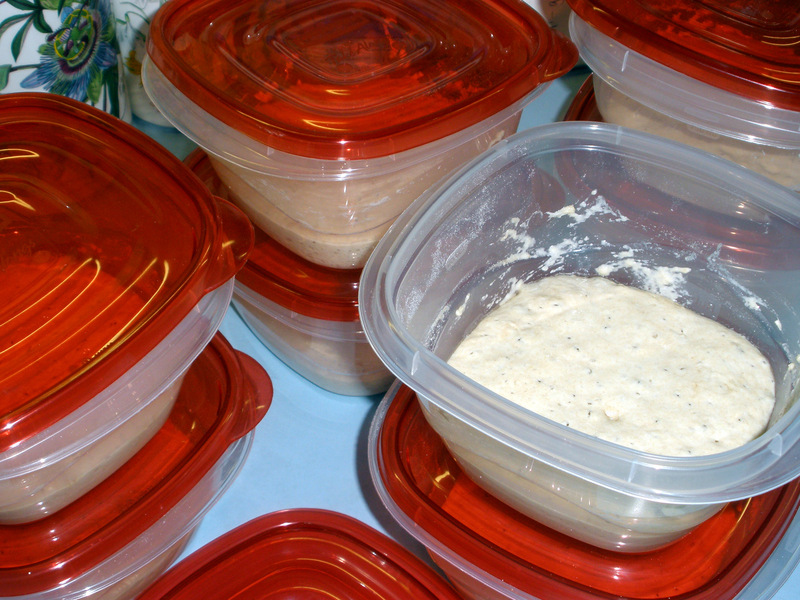 Pictured: eight containers of mature, ripe leaven, ready to raise Tartine-style loaves of bread. Why so much leaven? Tonight, I teach a community baking class focused on wild yeast sourdough. My whole house smells like ripening sourdough, a mostly pleasant scent of apples, yeast, and bread, with faint overtones of acetone and alcohol. Interested in wild yeast sourdoughs? Then get your hands on a copy of Chad Robertson’s Tartine Bread, or take a look at Martha Stewart.com’s slide show depicting Robertson’s technique. A seeded version of the recipe can be found over at goop.com. You may be thinking, why bother with wild yeast bread? Taste, of course, is the most important reason to investigate this ancient method. And, when the Zombie Apocalypse finally arrives, you will be able to make bread at home, using nothing more than flour, water, and a little salt. Sure, others might risk their lives with a foray to find a sliced loaf of Bunny…but you’ll be safe at home, enjoying a nice piece of toast, free from the zombie menace. See what the Centers for Disease Control says about zombie preparedness…..better get your zombie kit ready. While zombie season may never arrive, hurricane season is just around the corner.